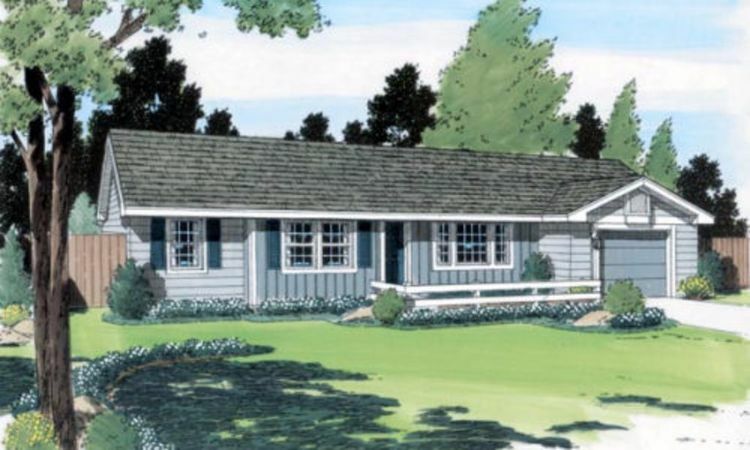 You don't have to live in the country to appreciate a ranch style house! They're cost-effective to build, conducive to easy indoor-outdoor living, and perfect for people who don't want to deal with having stairs in their home. 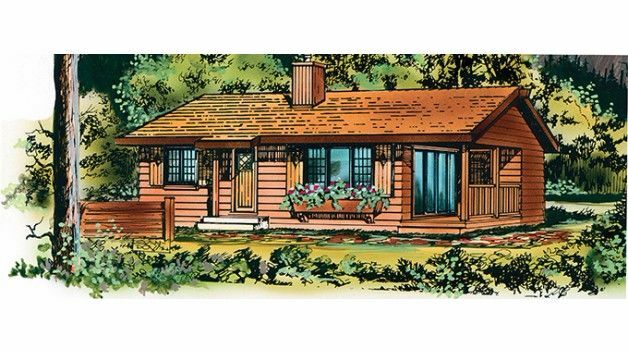 You might think of ranchers as sprawling houses with big footprints, but there are plenty of tiny ranch homes out there. Whether you're looking for a ranch-style home for an entire family or just for yourself, you'll definitely find a great option below! 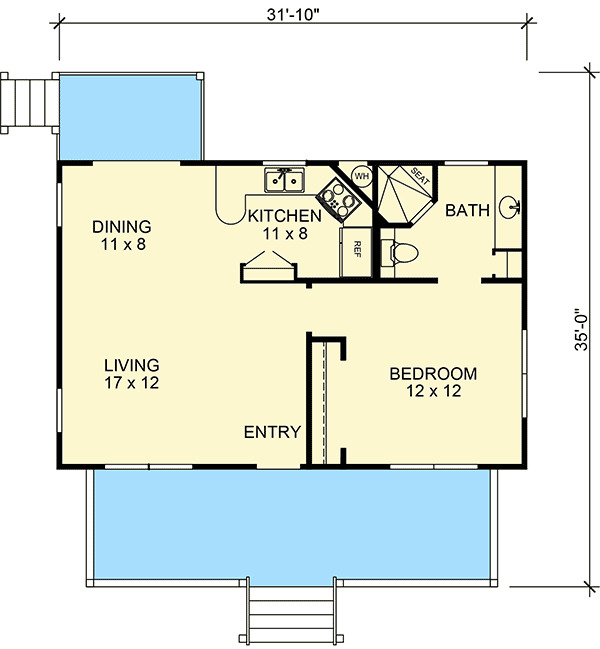 At 990 square feet (92 square meters), this design from ePlans has plenty of space for a family. Enter the house through the front porch, which leads into the living room and in turn to the kitchen. 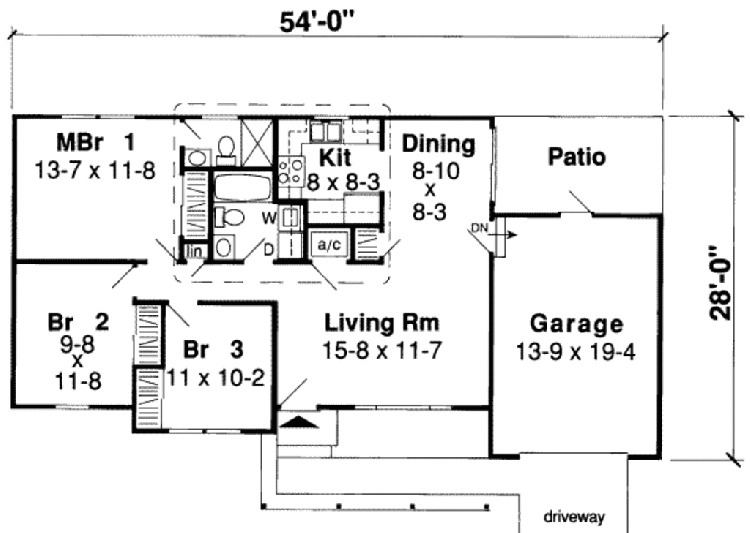 A dining nook is attached to the kitchen, and it provides access to a back porch. 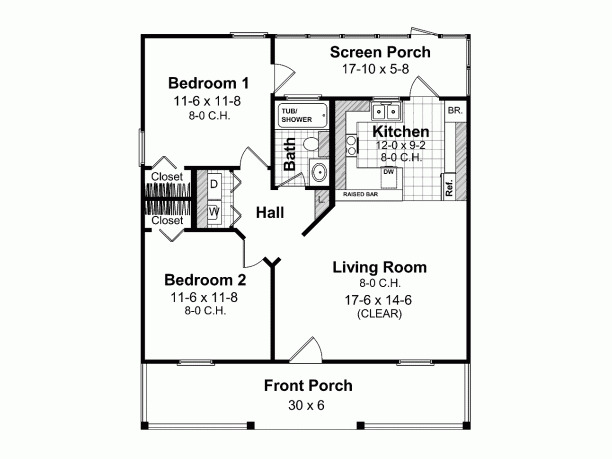 Two bedrooms at the front of the home share access to a bathroom, and a utility closet with a washer and dryer can be reached through either the kitchen or the carport. 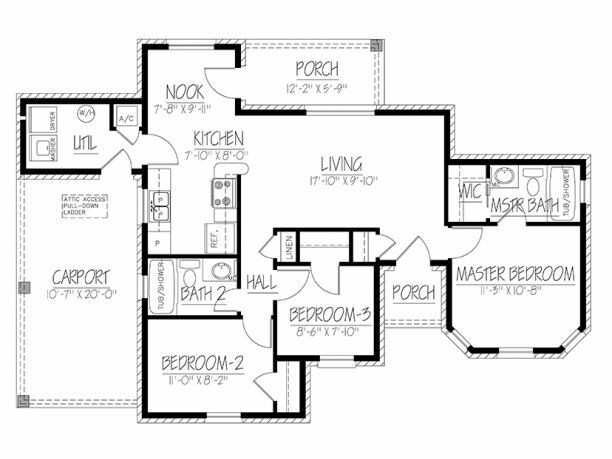 The master bedroom is tucked away on the right hand side of the home, and it has its own private bathroom with a tub. 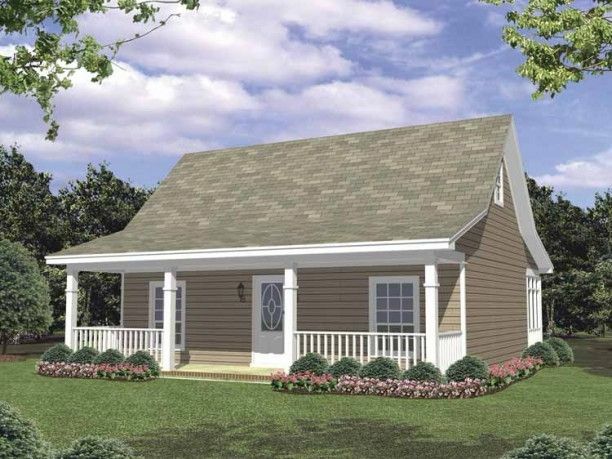 This 984 square foot (91 square meter) home from House Plans has two bedrooms on the right hand side, which share access to a full bathroom with a tub. A sizable great room with exposed beams provides the perfect spot to relax after a hard day, and a the lovely little eating nook at the back of the house provides access to the kitchen. A utility room with a washer and dryer can be entered through the kitchen, and a storage space is found off the back of the carport on the left side of the home. At 627 square feet (58 square meters), this home from Architectural Designs feels larger than it actually is thanks to an open concept dining and living room. A small deck can be accessed through the dining area, as can the kitchen. The bedroom on the right hand side of the home leads to a large bathroom, which features a corner shower with a seat. 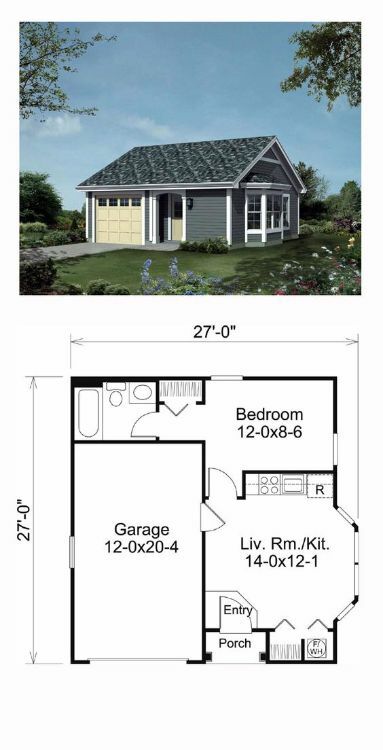 This design from Family Home Plans is only 421 square feet (39 square meters), but it has everything you need to live comfortably. 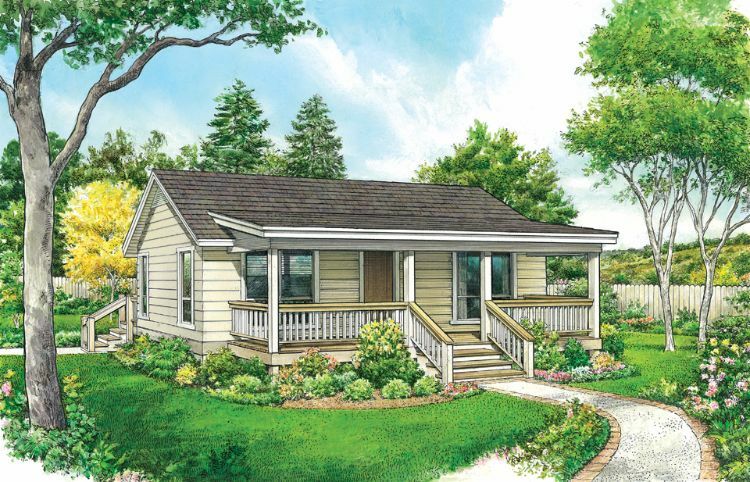 Enter the home through a small covered porch, and you'll find yourself in an open-concept living room, dining room, and kitchen area with a lovely bay window. This room is home to a closet and a laundry closet, and the bedroom is located right behind it. A small hallway in the bedroom passes by the closet and leads to a full bathroom with a tub. 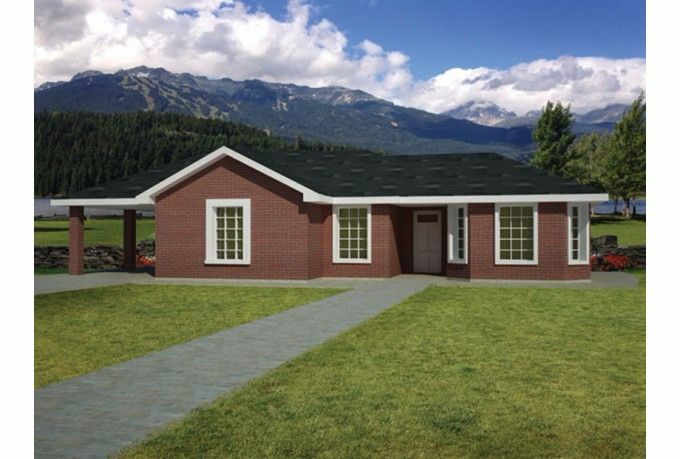 With its three bedrooms, this 984 square foot (91 square meter) home from House Plans is just the right size for a family. The house is entered through the living room, which leads to the dining room and in turn to the kitchen. A hallway just off the living room leads to a full bathroom, which is also where the washer and the dryer can be found. All three bedrooms are on the left hand side of the home, and the larger master bedroom features a second full bathroom. The garage is located to the right of the house, and it leads to a small patio out back. 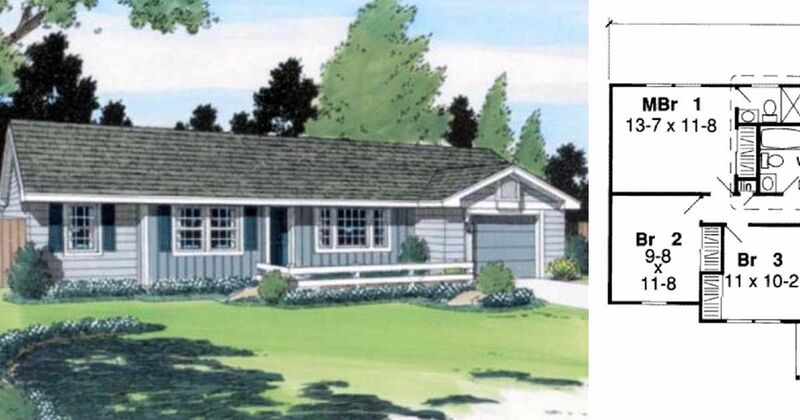 This home from ePlans measures 800 square feet (74 square meters), and it has a porch at the back as well as at the front. 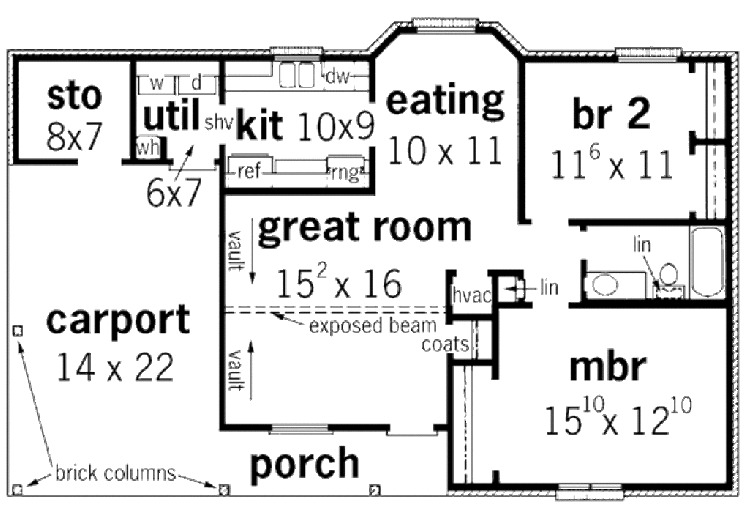 Two equally-sized bedrooms take up the left side of the home, and the bathroom and a small laundry room can be found here as well. An eat-in kitchen is located in the back right corner of the house, and a spacious living room is in the front right part of the home. 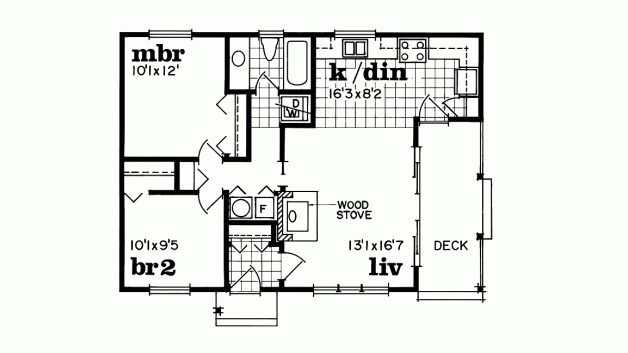 Measuring 839 square feet (78 square meters), this design from Floor Plans is perfect for a small family. The home is entered through a dedicated mudroom, which leads directly into the cozy living room that features a wood stove. Sliding glass doors in the living room provide access to a covered deck, and the kitchen and dining room are open to the living room. A short hallway passes by the bathroom and a laundry closet, and ultimately leads to two bedrooms on the left side of the house.